Karate classes are available in Sydney for children and adults. Daytime and evening classes offered all year round on various weekdays. Please contact GKR Karate Prime - Northmead for exact class hours for different age groups. Would you like more information on hours, classes and programs available at GKR Karate - Green Valley? Please contact the school with your questions. Update the details, Write a Review or Report Error of GKR Karate - Green Valley. This Chart shows the Martial Arts Styles offered most in Green Valley, Australia area. 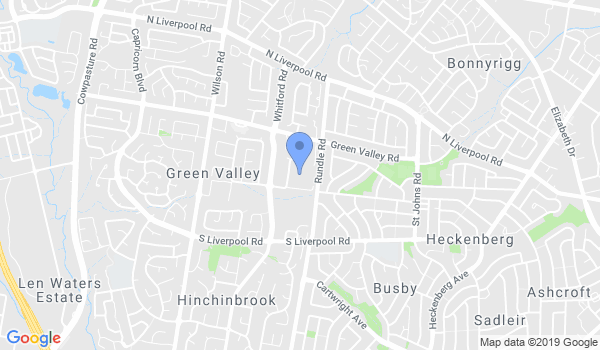 View a list of Dojo in Green Valley, or enter your address below to find schools closest to you.